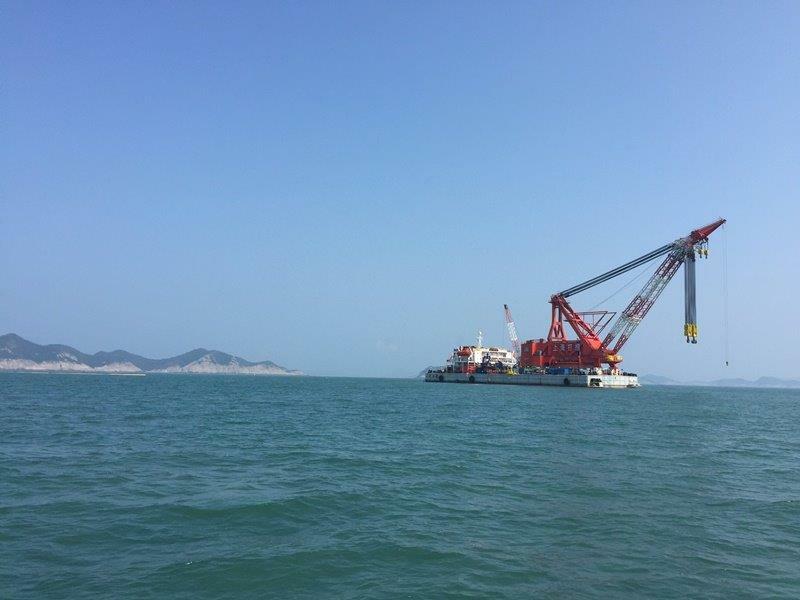 TMC continued with their on-going assistance to MOF (Korean Ministry of Oceans & Fisheries) in their recovery of the hull of SEWOL in one piece, and on 23 March 2017 in good weather conditions and near neap tidal strengths, the contractors SSC (Shanghai Salvage) successfully completed the side-lift of SEWOL to the surface using 2 x lift barges fitted out with 66 x 350t strand-jack units attached to 33 x underside beams. In a delicate operation which took over 27 hours to complete the ascent to the surface went smoothly. Once on the surface at the designed 60% emerged position (13.5m above water), drainage of the hull took place in order to reduce weight. The following day on the 24th of March, with the good weather continuing, the convoy of barges + SEWOL were gently towed by a flotilla of 7 x tugs and floated over the 72,000t semi-sub vessel WHITE MARLIN some 3 miles away. Once in position, WHITE MARLIN de-ballasted to the design position and gradually took the weight of SEWOL. 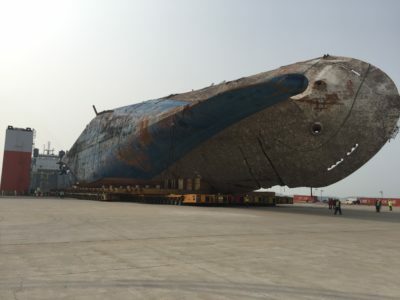 By 2353hrs on the 24th of March, the full weight of SEWOL was on the semi-sub vessel. When fully de-ballasted the strand-jack wires were dis-connected and the barges departed. Several days were spent draining the water and mud from the hull of SEWOL, in total several thousands of tonnes were drained. On 31st March 2017 arrangements were completed in Mokpo New Port and SEWOL, loaded on the deck of WHITE MARLIN, made her way through the islands of South-west Korea to her allocated berth. SEWOL arrived alongside where the Families of the deceased were waiting to greet the vessel. On the 9th of April, 600 axles of trailers for load-in of SEWOL to the quayside at Mokpo new port were arranged and the hull successfully delivered on to the quayside, thus completing the delivery of the hull in a single piece, as required by the Korean authorities. TS TAIPEI grounded off the northern tip of Taiwan on 10th March 2016. Following the grounding the vessel sustained structural damage resulting in multiple tanks and compartments flooding. TMC were requested to assist and attend the casualty acting as representatives for the owners and insurers to oversee the removal of fuel oil and containers. Unfortunately over the weekend of 26th-27th March, during a period of bad weather, the vessel broke into two parts with the aft end taking up a large angle of list. All fuel oil and the containers above deck were removed by salvors by the 5th April 2016 and they continue to work to remove the remaining containers in the holds. TMC remain on site providing assistance and advice on the container removal operation. 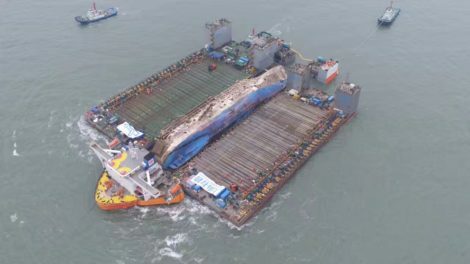 SEWOL Wreck Removal started in August 2015 and continues with bow lift planned for early May 2016, and side lift onto Floating Dock on site in August. The bow lift will be carried out by SSC using a combination of ship’s own tanks for buoyancy, air bags/pontoons and surface lift by DALIHAO 1250T floating crane. Earlier this year, TMC travelled to Shanghai to witness the largest single-boom floating crane lift of 12,000T which will be used for the side lift of the single hull in August. The full 13200T proof load test was previously carried out on this new-building which is classed by CCS. 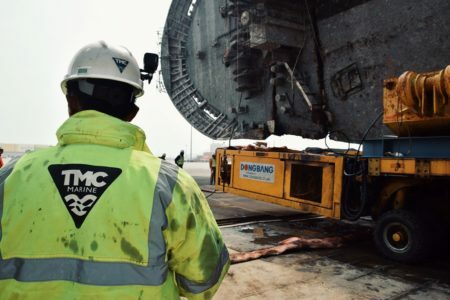 TMC continue to provide technical support, including a full time on-site presence, to the Korean Ministry of Oceans and Fisheries (MOF) in connection with removal of the SEWOL. Since the award of the contract to Shanghai Salvage in August 2015, a number of significant milestones have been passed which include detailed internal and external surveys, removal of oil completed on 25th October 2015, and installation of safety nets over windows and doors. As of 8th December 2015 Shanghai Salvage has carried out 1,000 dives on the job, a very impressive total. On 5th October 2011 the 3351 the containership RENA grounded on the Astrolabe Reef in the Bay of Plenty, New Zealand. Exactly four years to the day later, TMC’s Technical Director Colin Barker gave expert evidence to the panel of four Commissioners presiding over a hearing to consider the application for a resource consent seeking to leave the remains of the wreck on the reef. 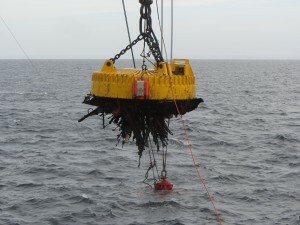 Earlier in the hearing, TMC’s Australian office Director Roger King had provided the panel with a presentation describing the current condition of the wreck. On the penultimate day of the five week hearing Captain King gave further evidence regarding the state of the reef and detailing the work undertaken by the Owners, Daina Shipping, and their insurer, The Swedish Club, to reduce the wreck and remove debris. 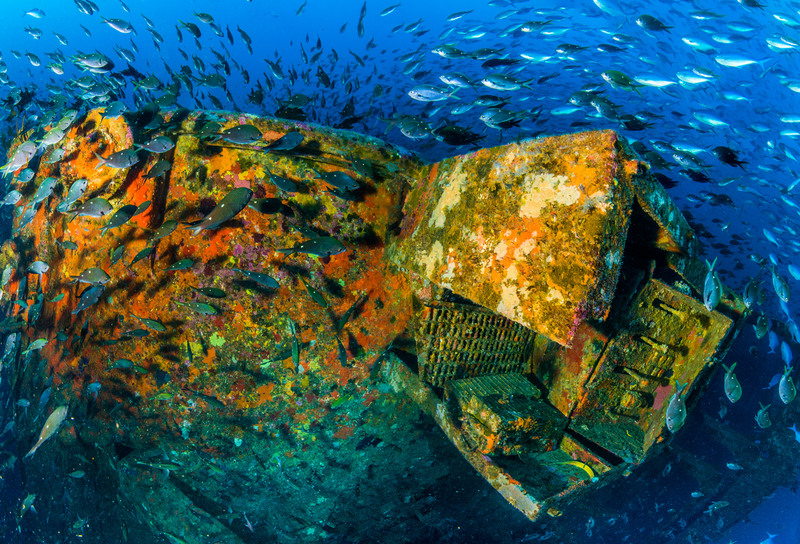 During four years of work, by four different contractors, nearly 4000 tonnes of ship structure and 3600 tonnes of container and cargo debris have been removed from the reef and surrounding seabed. TMC surveyors have been attending the RENA salvage and wreck reduction operations in Tauranga as the technical representatives for the Owner and their P&I Club since the 2011 grounding. A decision on the resource consent application, a matter that has not been without controversy in New Zealand, is expected on 18th December 2015. Photo by Darryl Torckler, a professional underwater photographer, taken for The Swedish Club. Following on from TMC’s involvement in this case in 2014 for the Korean Government, TMC has been advising the Korean Government on the technical aspects of the single piece recovery from the seabed, near to Jin-do, south-west Korea. This complex project is expected to take until July 2016 to complete. 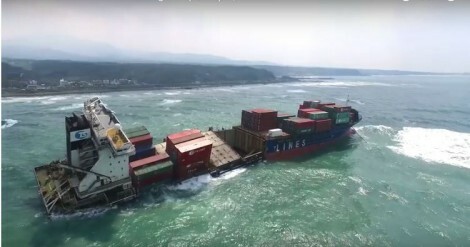 Following an International Tender the Korean Government has selected Shanghai Salvage Co. to undertake the recovery project. Work on-site is expected to start by late August 2015. TMC has been invited back to Korea to assist the government review the on-going situation with respect to the sunken ro-ro passenger vessel SEWOL. The Korean government announced on November 11th that the search for bodies was being suspended. TMC are continuing to attend the RENA wreck reduction operation in New Zealand on behalf of The Swedish Club and the vessel’s owners with the operation moving in to a new debris removal phase in August of 2014 and ongoing through to the year end. The photograph shows the two barge mounted crawler cranes, each positioned by jib mounted GPS receivers and fitted with grabs or a magnet. The debris location and recovery is aided by lights and cameras fitted to the grabs or magnet which allows the crane drivers to precisely position the cranes for each lift. A significant milestone was passed on October 5th, the third anniversary of the grounding in 2011. 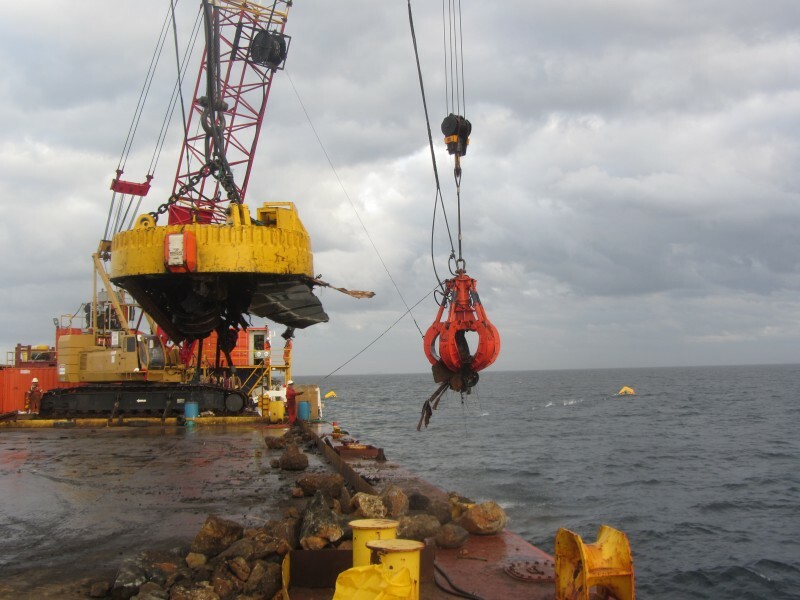 TMC has been working on the salvage and subsequent wreck reduction operations from day one. 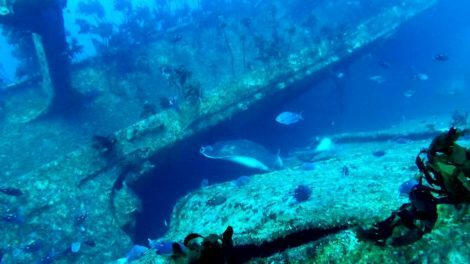 A hearing regarding the final fate of the remaining sections of the wreck is expected to heard before the Environment Court in Tauranga, New Zealand in the first quarter of 2015. 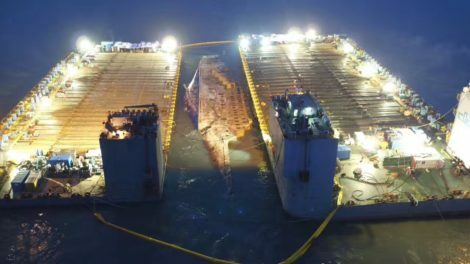 TMC has been instructed by the Korean government on the tragic sinking of the ro-ro passenger vessel SEWOL, to advise on the wreck removal process. TMC Managing Director Stephen Tierney, who travelled out to Korea comments: “TMC extends our deepest sympathies to the families of the bereaved, and to the Korean people as a whole, for this tragedy and our thoughts are with them at this very difficult time. We will do our best to assist the Korean government with any advice they may require”.